as many of you waited a long time for this feature, it’s finally here as a pre chrisms present. 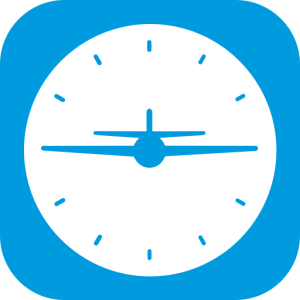 You can now export your flights directly from iAIMS into your LogTen logbook. Hope you all enjoy this new feature and wish you merry christmas and a happy new year. Hope you will enjoy iAIMS! We are happy to welcome Cebu Pacific to iAIMS! 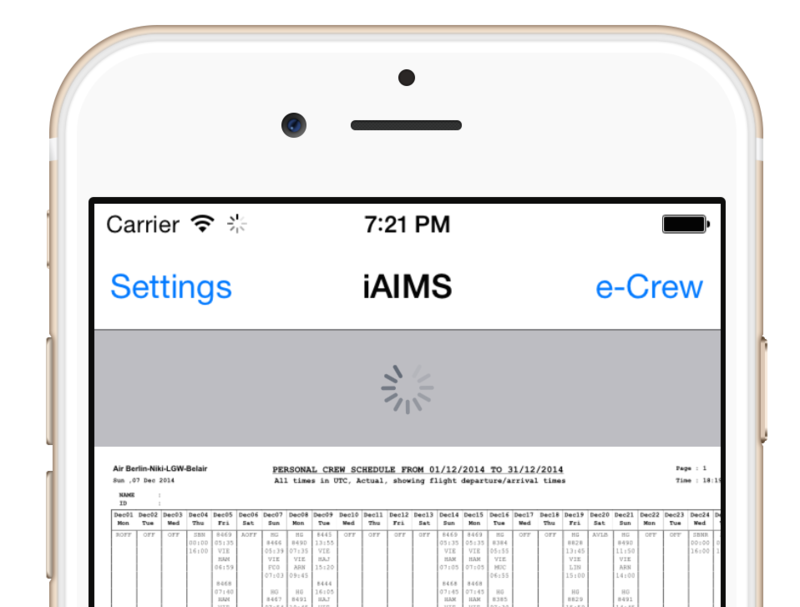 The new version of iAIMS now better supports the calendar export for the new schedule format. I have just received a mail by the Omni Air International IT department. They blocked the access to eCrew by iAIMS with purpose. 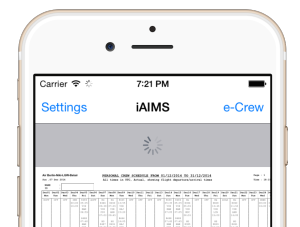 They don’t want their Crews to uses iAIMS. They told me to remove all links to Omni Air International. I’m very sorry about this decision, but I will follow this request. With this version you can simply “Pull to refresh” your schedule. Update your schedule now faster then ever! 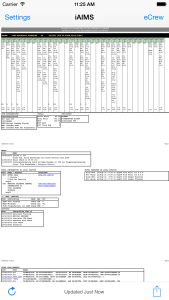 This version also fixes some iOS 8 issues like duplicate calendar entries, wrong batch numbers and some more. Also some problems according missing password and download problems for Atlas Air and Omni International were solved. Today a new version of iAIMS with an improved “You have changes” dialog is out. 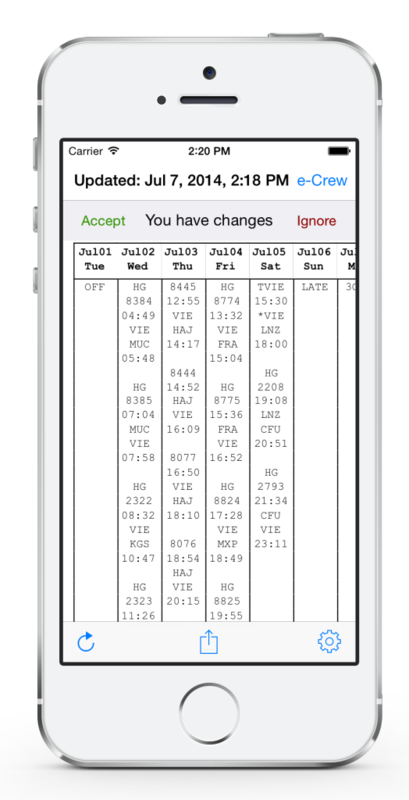 With this new version it becomes much more comfortable to view and confirm your changes. Hope you like this new feature.